Almost one or two years ago, I had heard the first time about the Indie Web. Me as a more or less active blogger and being a fan of independent infrastructures, I had fallen in love with the ideas of Indie Web. Therefore, I had planned to go to an Indie Web Camp in May, but due some healthcircumstances I could not go. However, I was a lucky guy last week, because Joschi Kuphal and Sebastian Lasse organized an Indie Web Camp in my hometown Berlin last weekend. During the first day and some discussions later, I recognized that I had some fundamental knowledge gaps of the Indie Web Movement. For the next two days I wanted to deal more with the community idealism and their design aspects, than with the common technical aspects of the Indie Web. In my opinion, it is better to understand some driving forces behind something, before you start coding or implementing. Therefore I joined the user persona session with Matthias Ott, Sebastian Greger, Joschi Kuphal, Isabela Nastasa. Our goal was to define a collection of common users for the Indie Web. That is kinda important to understand the user needs of the Indie Web and validate some Indie Web tools against it (from a Designer perspective). 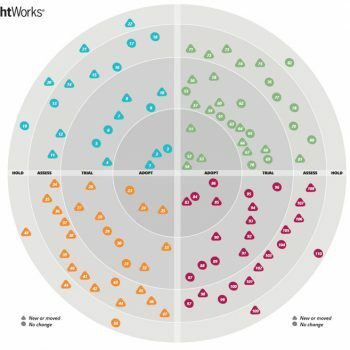 This blog post is a summary of my notes from those onboarding and personas discussions. It is nothing official, just my personal thoughts, for grasping the Indie Web Movement better. Let’s start.. The Indie Web idea came up around 2009/2010 with the call for a better “Interoperationalität” between web content. What means in simplified words: make your web content importable, exportable, exchangeable, readable, and accessible and so on. 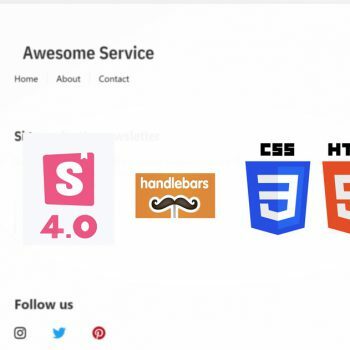 Based on that need, some web developers with a Maker & DIY attitude (and a connection to the Homebrew Website Club) started the website Indie Web around 2011. Some of the key roles are played by Aaron Parecki, Tantek Çelik, and Jeremy Keith. Their websites are great examples of the Indie Web principles. These geeks created their own tools based on the Selfdogfood idea, where you build yourself what you need. I like this attitude of creating instead of talking about it (because sometimes I talk too much about ideas instead of creating). This approach has only one disadvantage… the indie web tools are not really accessible for non-technical users. 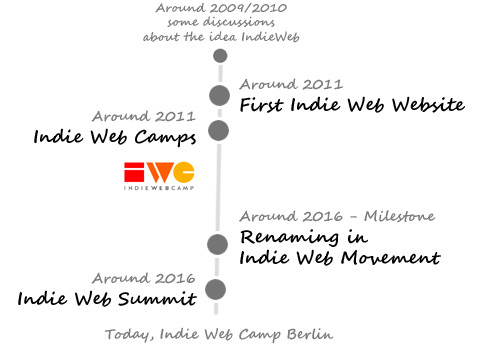 At the beginning of the Indie Web Camp in Berlin, I had the feeling the Indie Web is only dedicated from (web) developers for (web) developers. My understanding of such a limited target audience would be very sad, because many other people would greatly benefit from the Indie Web tools (me included as a hobby blogger). If we will have a look on the Indie Web History, then some circumstances become more comprehensible. 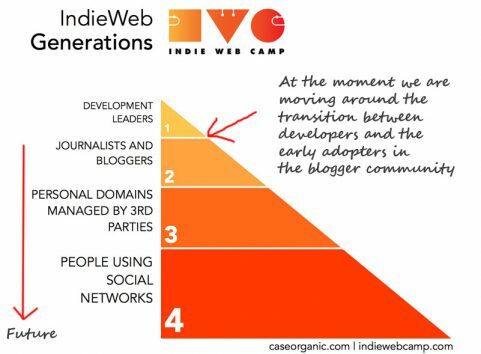 The Indie Web Movement is at the moment in the transition from developers as users to journalists and bloggers. Some early adopter bloggers, like Dan Gillmor, implemented already several Indie Web tools on their website. 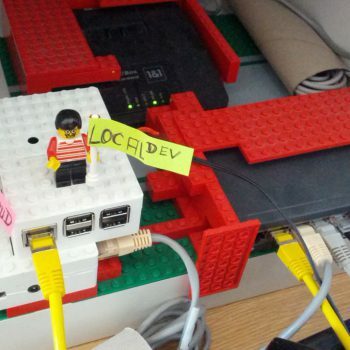 As already mentioned it, in my opinion it is still not so simple to switch to Indie Web infrastructures. If we have a look on the Indie Web event evolution, then I have some hope that it will change in the future. The Indie Web Movement offers now various set of events for the community. I think these 3 event formats are a perfect match for every user need. 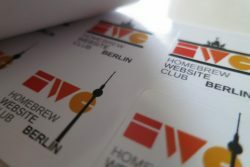 Homebrew Website Club is an event series with focus on local website makers and creators. That means a local community, which meets frequently at the same city/place. During these meetings, the community helps each other to “install and apply” indie web tools on their website. Indie Web Camps are events for developers. It is mostly organized like a mix of a BarCamp and a Hackathon. During those 2 days, developers / hackers improve, maintain, and create new tools for the Indie Web community. So it is mostly pretty geeky and technical oriented stuff. Even the registration is not so easy for non-technical people. You must have installed IndieAuth on your website for register to the event. 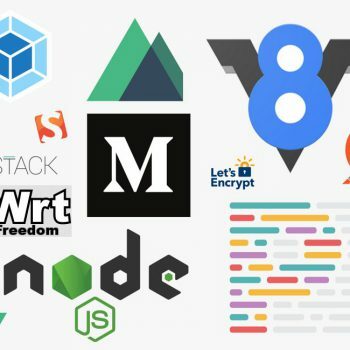 This barrier is a conscious decision by the Indie Web leaders with the intention to check the technical skills and maker attitude of the Indie Web developers. Indie Web Summit took place the first time 2016 in Portland, Oregan. 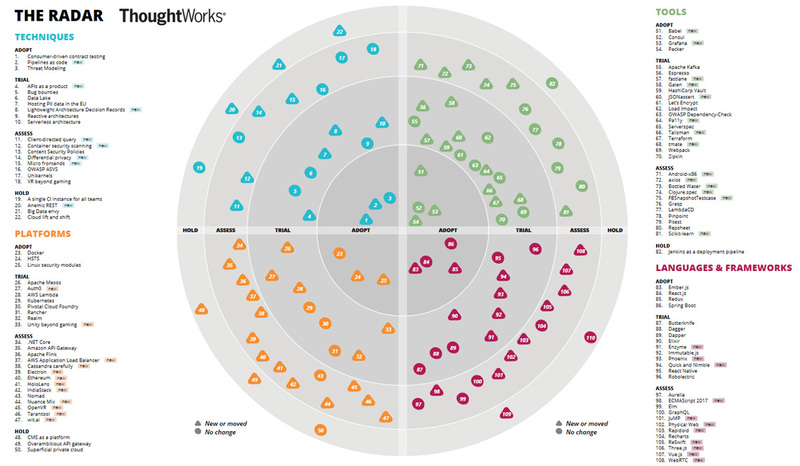 The target audiences are mostly authors, bloggers, and journalists. It is a less technical and less hackathon oriented event. That event is a good sign that the Indie Web community wants to enter the Indie Web Generation stage No. 2. In my opinion, the event formats pretty appropriate for every user group. Actually, they are already addressing a broader audience with the Indie Web Summit. I think everything evolves pretty well. Beyond that event formats, we discussed in Berlin some User Experience issues. The Indie Web wiki hosts a pretty comprehensive documentation, but it is very bad browsable for Indie Web newbies. Another problem is more related to developer activities. Maintaining Indie Web Tools can be pretty exhausting for its creators. In some cases, the code base gets old and stinky. There is no real procedure in the community how to deal with (or it is difficult to find on the wiki). If Indie Web newbies want to apply those tools on their website, it can come to runtime errors, which harms the experience with the Indie Web community in the end. Another good starting point for me will be checking these links before I am gonna join the next Indie Web Camp. In the end of the Indie Web Camp, I have to say a big thank you to the Indie Web organizers Joschi and Sebastian! The others and me had a really great time and enjoyed it a lot, ahoi!